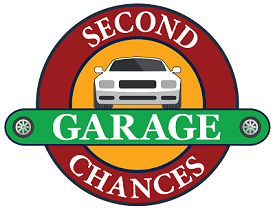 With a passion for cars and helping those in need, Second Chances Garage– a 501(c)(3) nonprofit– seeks to make a difference in our community of Frederick County, Maryland, by offering “second chances” for individuals and families on their journey to independent living by providing assistance with their personal transportation needs. We are soliciting donations of vehicles from the local community, refurbishing them, and placing them with individuals who are gainfully employed and referred to us by Partner Agencies. In addition, we offer a Reduced-Cost Auto Repair Service to qualifying individuals. If you’d like to donate your vehicle to The Garage, click on the button below.